In 1845 Miss Mary Powell, a dressmaker, died at 9 Northwick Terrace, aged just 29. She was followed by Ann Powell (presumably her mother), who died in 1853. Ann's husband John Powell, a stonemason, was the master and treasurer of Cambray chapel and was registered at this address until at least 1871. ​By 1881 the principal occupant had changed to Dennis Potter but also sharing the property that year was Martha Axford, a dressmaker. Mr Potter was born in Montpellier Terrace in about 1818, making him one of the earliest inhabitants of that street. In the early 1870s he founded a china business at Staffordshire House (now 48 Suffolk Road) and this was inherited by his son John. Dennis was one of the first members of Cambray Baptist church and was a prominent teetotaller. In 1889 he shared the property with an artist who advertised to teach painting on fans and tapestry in water colour, and was known simply as "R.T.". Dennis Potter died here in 1898. ​In 1907, and again in 1911, the house came up for sale or rent, including 4 bedrooms, 2 reception rooms and stabling. It was listed as being "1 minute from the tram", which ran down the Bath Road into the High Street. 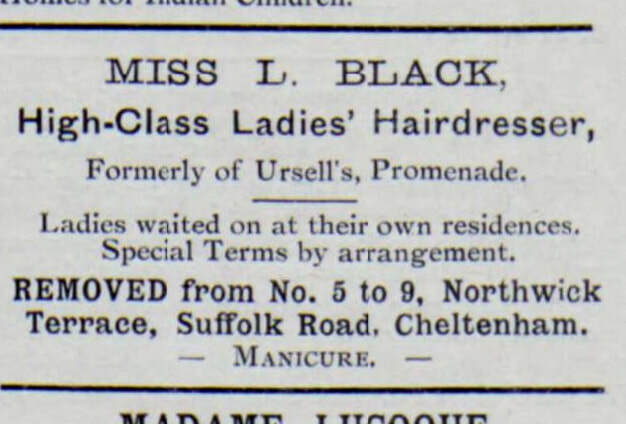 By 1912 a new occupant had been found, in the form of Miss L. Black, a hairdresser and manicurist. Just over a decade later the house accommodated Mr & Mrs Charles Thomas Deane. Mr Deane described himself as a registrar of marriages. The house was bomb-damaged in WWII and later rebuilt. 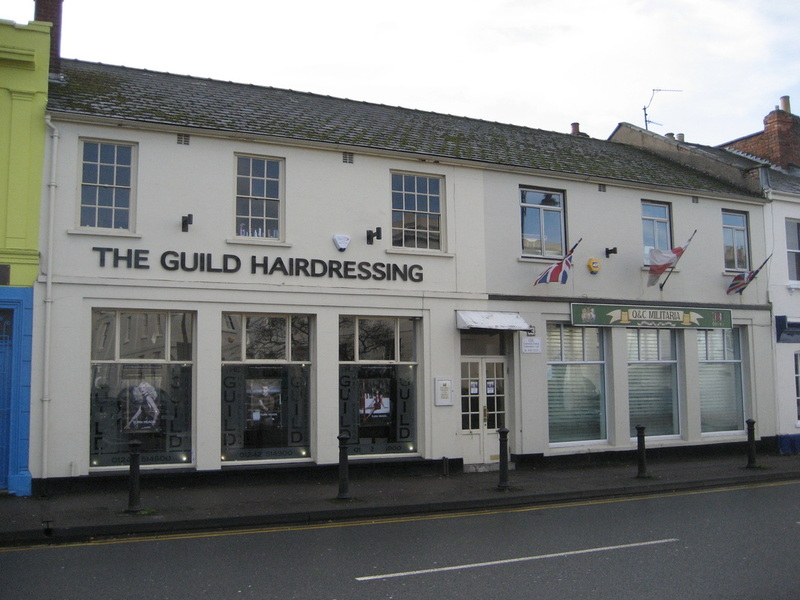 In 1952, and until at least 1975, both numbers 18 and 20 Suffolk Road belonged to Leckhampton Estates Ltd, Builders and Contractors , who in the later years shared number 18 with the Gloucester Association of Boys’ Clubs. In the spring of 1851 this house was taken by Mr Pio Cianchettini​, who had formerly lived at 11 Great Norwood Street. He was born in London in 1799 and was a celebrated music performer and teacher, having played the piano forte and conducted fashionable, popular concerts in venues such as the Assembly Rooms and the Montpellier Rotunda, since at least 1821. ​Pio and his wife Emma Athanasia had moved from Great Norwood Street to Gratton Terrace in 1847, where she sadly died two years later aged just 28.​ Here, at 10 Northwick Terrace, he continued to give instruction in singing, on the piano forte, in harmony and in composition. Sadly he died in July 1851, leaving a 12 year old orphan son. ​Eight years later, in 1859, another professor of music and sometime organist at St James' church, Mr W.H. Snelling, was teaching here. ​Then, before 1871, and until at least 1891, this property was home to Herbert Early, a tailor. By 1910 the occupant was Charles Robert Iles, a lithographer. He was succeeded after his death at the age of 81, in 1924, by his son William Young Iles, also a lithographer, and William's wife Annie. Tragically, the house was bombed, and totally destroyed, by the Luftwaffe on 11th December 1940 and Mrs Annie Elizabeth Iles, aged 55, was killed. This was one of 6 raids on the town and it was the heaviest, resulting in 23 deaths and 600 people losing their homes. More than 100 high explosive bombs, and many incendiaries, were dropped from 7.30pm until after midnight, by wave after wave of raiders, in a line from Pilley to the Tewkesbury Road. It was thought that the raid was intended to be upon Birmingham and that Cheltenham was hit in error. Amongst the devastation, Pilley Bridge and one of the gasometers in Gloucester Road were destroyed. 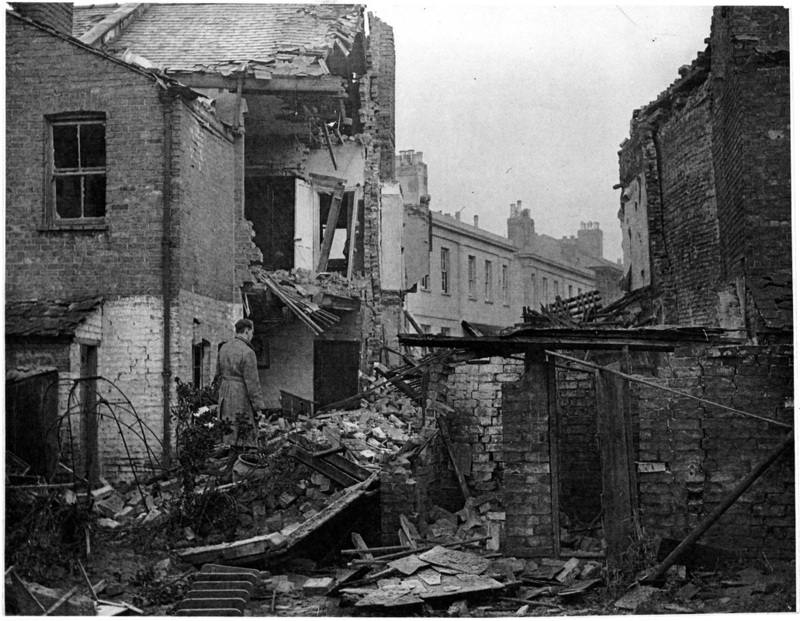 The newspapers were unable to report on air raids during the war but following the declaration of Victory in Europe, the Gloucestershire Echo, in May 1945, described the appalling events of that that night as follows. ​"Viewed from the centre of town the attack was an unforgettable and terrifying spectacle, with anti-aircraft guns blazing away, shrapnel exploding in the star-lit sky, and bombs crashing down with a violence that shook the whole town." The damaged properties either side of 20 Suffolk Road were demolished and rebuilt after the war, in a very different architectural style. The new premises were occupied by Leckhampton Estates Ltd, Builders and Contractors. 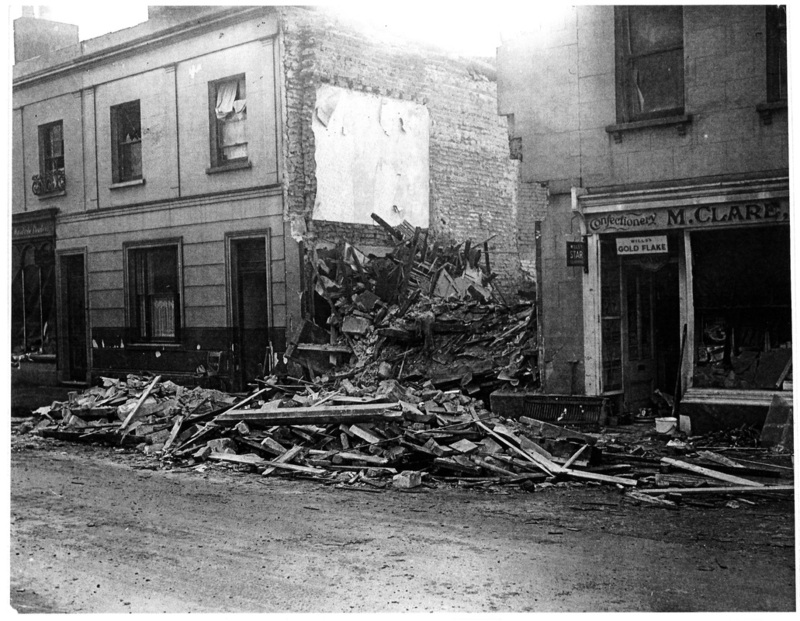 20 Suffolk Road, bombed 11th December 1940. 20 Suffolk Road, rear view, looking into Montpellier Grove. In 1975 W.A.Woof Ltd, presumably having relocated from number 8 Suffolk Road, was listed here as a Sports Outfitters. 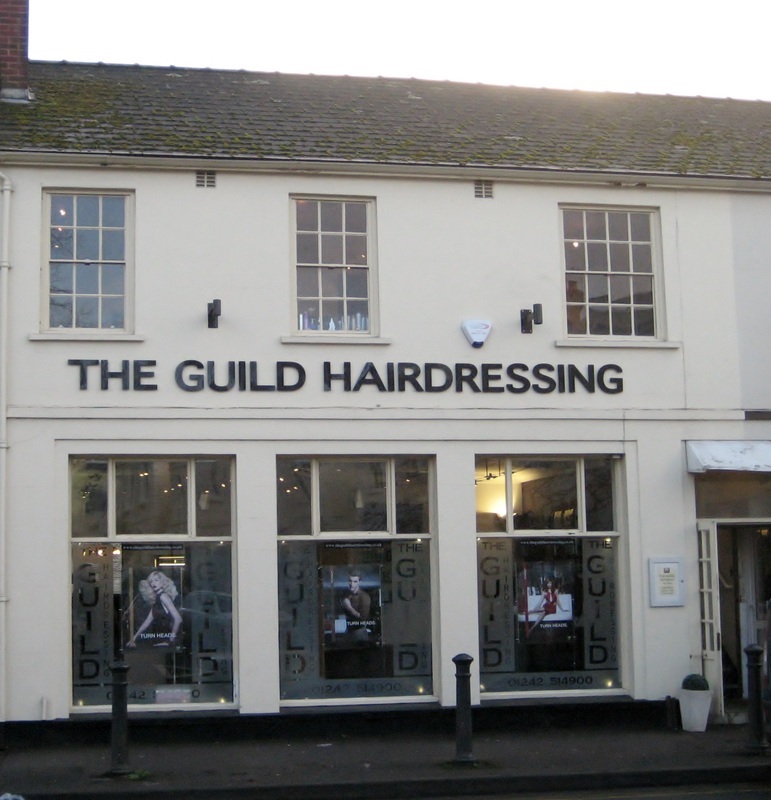 ​Since 2000 this has been the home of The Guild Hairdressing salon, under the ownership of Mike Lunnon.